Repair of water damage - Willkommen bei Thiel und Riedl Bodenbeläge! Has your parquet floor been damaged by water? No problem! We repair it professionally and fast. 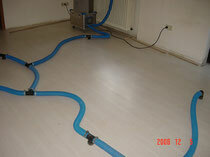 We organize the drying and repairing of the subfloor and the surface. Machines drain the moisture off the subfloor. 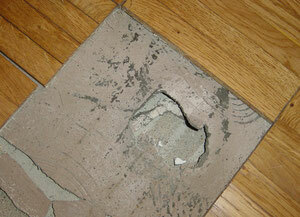 This procedure can take one up to several weeks, depending on the severity of the water damage. We do our very best to cause as little discomfort as possible for our customers.